Prep: 15 min., Cook: 20 min. Bring milk to a boil in a medium saucepan. Stir in quinoa, cranberries and butter. 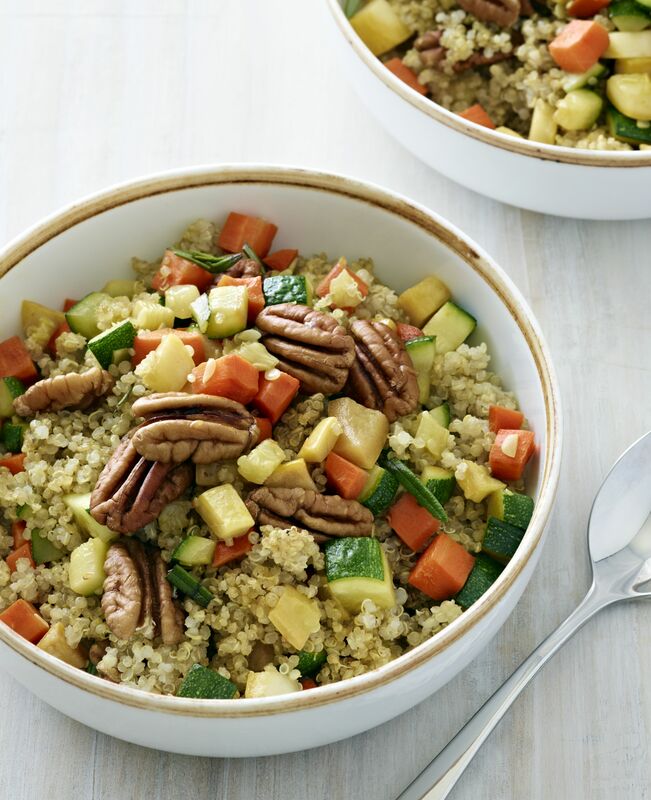 Cover, reduce heat and simmer 15 minutes or until quinoa is tender and liquid is absorbed. Remove from heat. Stir in 1/3 cup chopped toasted GEORGIA PECANS and next 3 ingredients. Spoon 1 cup quinoa mixture into each of 2 bowls. Top each serving with additional chopped toasted GEORGIA PECANS, milk, honey or brown sugar, as desired. Nutrition Profile (without toppings): 350 calories, 14 g total fat, 3.5 g saturated fat, 15 mg cholesterol, 70 mg sodium, 48 g carbohydrates, 4 g fiber, 12 g protein.